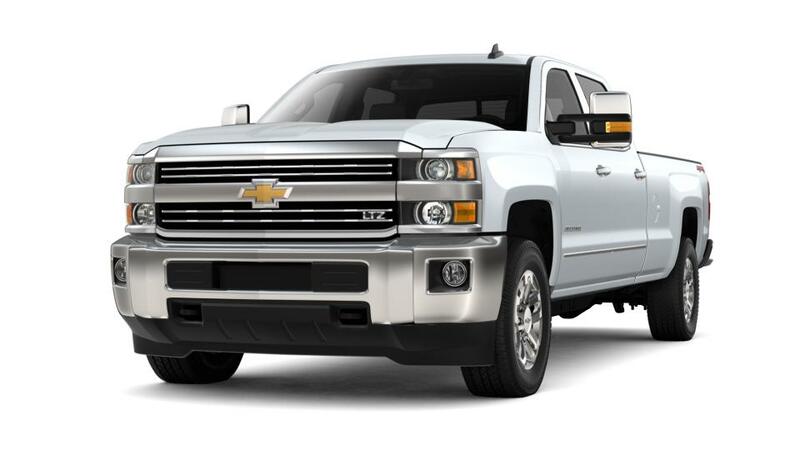 The new Chevrolet Silverado 3500HD, offered at our Elgin dealership, provides the perfect combination of state-of-the-art trailering technologies with powerful engines. This heavy-duty pickup’s engine offers class-leading horsepower and impressive torque. In the new Chevrolet Silverado 3500HD, featured at our Elgin dealership, its Digital Steering Assist power steering with electronic controls enables road holding and stability while hauling and trailering. The Duramax Diesel Engine incorporates a patented induction system with two air vents, one at the hood scoop and one at the fender, to aid the intake needs of the engine, improving performance and ensuring that water and debris intake are easy. In addition to maximized strength, the new Chevrolet Silverado 3500HD, available at our Elgin showroom, also has several built-in technologies, like the Fifth Wheel/Gooseneck Prep Package, to inspire confidence with more controlled, stable and safe hauling and trailering. Experience the strength, performance, and control of the new Chevrolet Silverado 3500HD with a test run at our Elgin showroom.